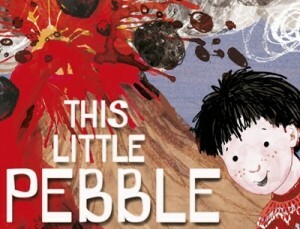 … for the prestigious Royal Society Young People’s Book Prize, is Anna Claybourne, with This Little Pebble, illustrated by Sally Garland. For readers aged six and above, it uses artwork to show the diversity of rocks all around us, starting with a child and a pebble and telling a story that involves volcanoes, tectonic plates, waterfalls, climate change, precious stones, fossils and much more. It also provides great support for for the topic of rocks in both the geography and science curriculum.